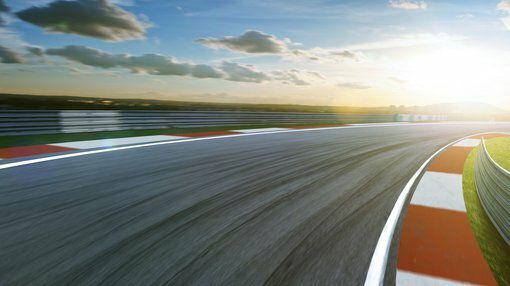 As Hardey Resources Limited (ASX:HDY) fast-tracks due diligence at the Nelly Vanadium Mine ahead of its decision to acquire the mine’s owner, Nelly Vanadium Pty Ltd (NVPL), it has revealed even more potential at the highly prospective project than first thought. Teams from SRK Consulting and Condor Prospecting have moved quickly to commence the inaugural site visit to Nelly Vanadium Mine in Argentina’s San Luis Province, mobilising their teams to progress preliminary due diligence. HDY has now received a report from SRK Consulting and Condor Prospecting highlighting key initial findings from the field trip. The teams from SRK Consulting and Condor Prospecting set an aggressive agenda for the initial phase of the site visit at Nelly Vanadium Mine, which was mostly achieved. Of course it should be noted here that there is still a great deal of work to do and investors should seek professional financial advice if considering this stock for their portfolio. They set out to take numerous photos of the historic workings/stockpiles, processing plant, mineralised veins and surface samples then augment these with detailed commentary. The initial focus of the visit was performed on the region which extends south-west from the road that passes through the project area, as seen on the map below. - Discovery of nine stockpiles around the main open pit which are readily accessible and can be easily processed as a potential direct shipping ore product, if bulk sampling and metallurgy results are positive. - Portions of mineralised veins up to 1.5m wide left untouched from historic mining operations within the open pit and shafts. - Possible extension to the main open pit vein evidenced by surface outcropping circa 250m to the south-west, with no visible legacy workings apparent, that exhibits the same mineralisation. - Numerous examples from across the project area that highlight vanadium mineralisation prevalence at surface. Over the balance of the site visit, the teams will focus on geologically mapping the project area, ascertaining the extent of unexploited mineralised veins and quantifying the cumulative size of ore within the legacy stockpiles. Initial observations highlighted there are four shafts within the open pit and at least nine adjacent stockpiles. The team took preliminary measurements of the workings and stockpiles, which can be utilised to determine the potential volume of ore available for a direct shipping ore product. The mineralisation observed in the open pit vein and rocks in the stockpiles was consistent with hematite, pyrite, copper and black minerals. 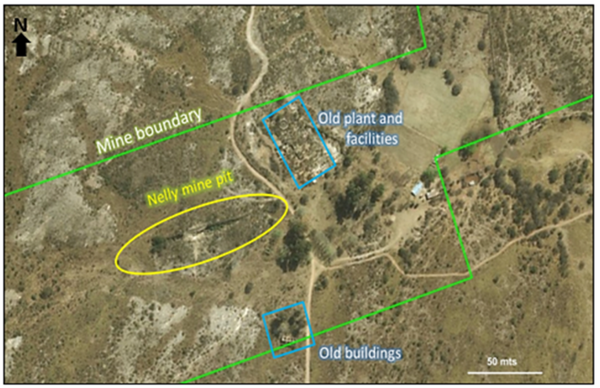 There was a portion of the mineralised vein untouched by historic mining operations which is 1.5m wide and on the north wall of the main open pit. Notably, it extends for 30m and ranges in height from 1m to up to 2.5m. About 200m to the south-west of the main open pit, a small dig (2m x 2m x 0.5m) was identified over an extension of the mineralised vein. Notably, there were clasts of quartz with veinings and breccia portions surrounding this small working area. A closer look at the vein in the main open pit, shows yellow and greenish minerals which are probably vanadates. The blue minerals are from copper and oxidized veins probably hematite carrying copper and zinc minerals. A further 50-70 to the south-west of this small working area, another vein outcropping (with no workings) was identified. It carried significant hematite and oxides, with the same style of mineralisation as the other veins within the project area. 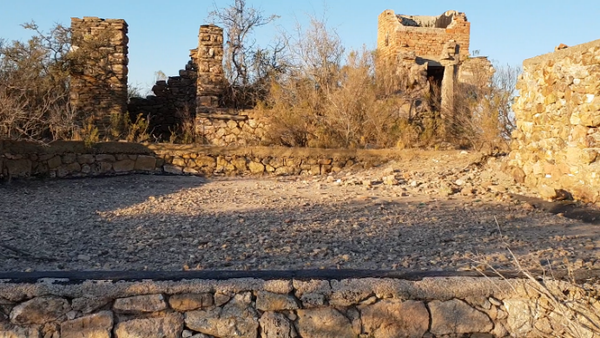 The team also observed the ruins of the historic production plant including pits, furnace oven, ditches, living quarters and administrative offices. Interestingly, next to the plant was some oxidised material (2m x 4m x 0.5m) that requires analysis on the next field trip. HDY Executive Chairman, Terence Clee commented, “Without question, SRK Consulting and Condor Prospecting have moved rapidly to mobilise their teams to Nelly Vanadium Mine to progress preliminary due diligence.